Great Scott, Marty! Yes, this writer would imagine that there are more than enough Back to the Future references currently drowning the general populace. It's to be expected on October 21, 2015, the day that Doc Brown and Marty visited during Back to the Future II. And not a medium to leave pop culture minutiae behind, video games are getting into the spirit of this day by celebrating the Back to the Future franchise. Shacknews is here to helpfully provide a few ways to enjoy this day, including some new treats that were just added earlier today. Psyonix was one of the first to jump on the Back to the Future bandwagon and the developer did so in one of the coolest ways possible. The motor-powered soccer game is adding a new vehicle to its wide selection of battle cars today. Yes, it's Doc Brown's DeLorean, powered by 1.21 gigawatts of raw energy! 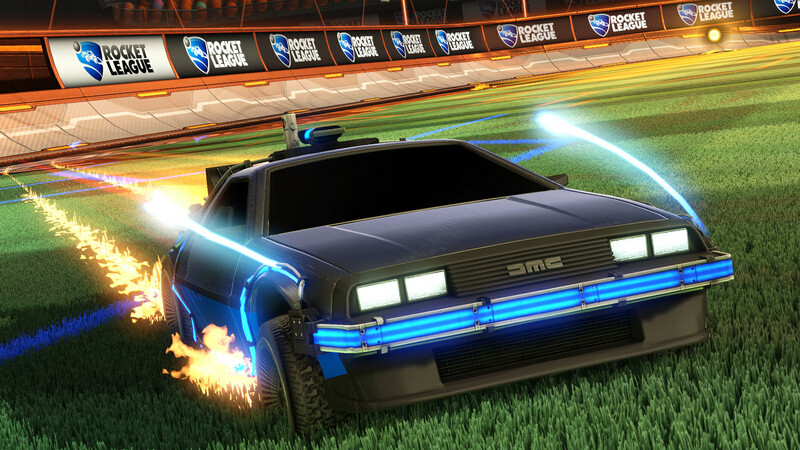 The DeLorean is purely cosmetic, just like all of Rocket League's paid DLC, but there's an undeniable cool factor that oozes from Doc Brown's time traveling jalopy. This is arguably the best way to celebrate Back to the Future Day and Rocket League players can grab it today for $1.99. This one was actually announced earlier today, as Media Molecule also wants to get in on the Back to the Future trend. While it would have been easy for LittleBigPlanet to add costumes and call it a day, Media Molecule is actually going above and beyond and delivering a genuine Back to the Future level. 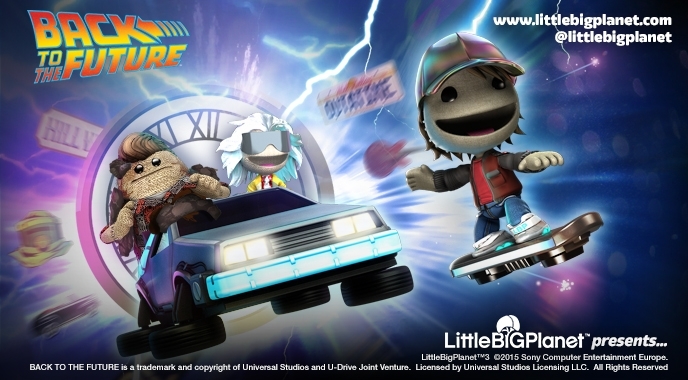 PlayStation.Blog has all the details, which sees the BttF-themed Sackboy and friends travel to Hill Valley, circa 1955. Players will collect temporal portals in an effort to power up the DeLorean with the 1.21 gigawatts needed to travel back to the future. Fortunately, players will have the aid of hoverboards to help them get what they need. And yes, as mentioned, there are costumes. Players can now don their Sackboy in attire from 2015 Doc Brown, 2015 Marty McFly, and 1955 Biff Tannen. One of the great concepts that Back to the Future has left in the public consciousness is the idea of the hoverboard. Coincidentally, WildStar has hoverboards and is actually kicking off a five-day event called the Hoverboard zPrix Invitational. 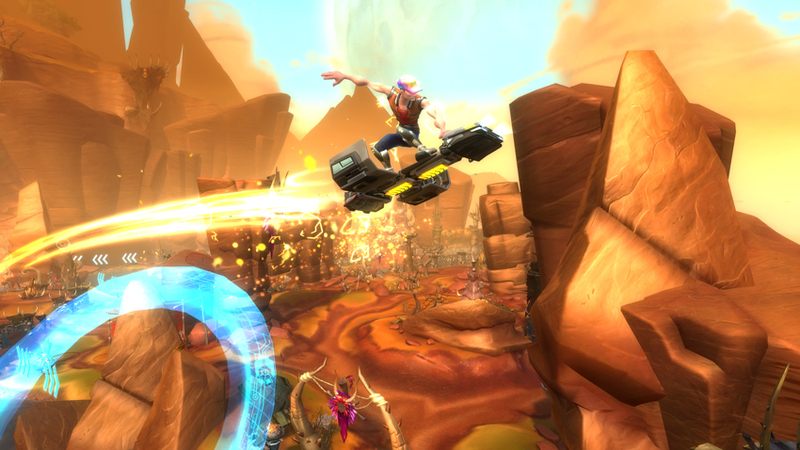 WildStar players will find hoverboard tracks constructed along Celestion, Deradune, and Whitevale. All of these tracks are placed along different environments, but are equally challenging. Those that choose to participate can compete to see who finishes at the top of the time trial leaderboard along a track filled with speed boosts, jump pads, holo rings, and more. More information about the Hoverboard zPrix Invitational can be found on the WildStar website. 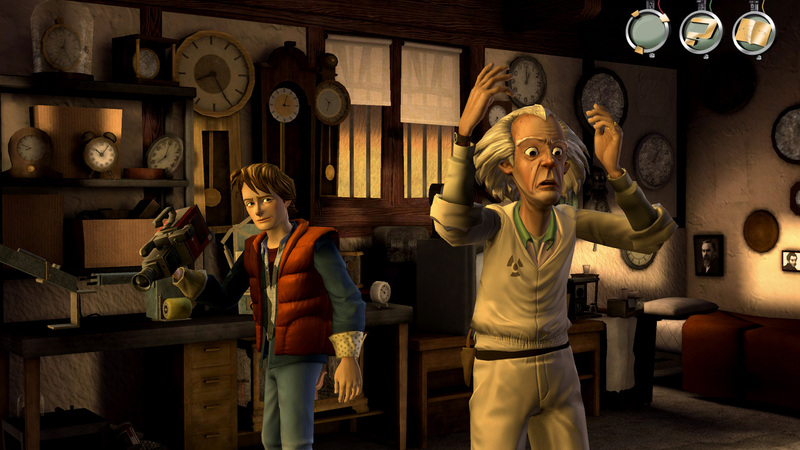 Telltale Games has been celebrating Back to the Future for a couple of weeks now. In fact, just last week, the developer remastered its Back to the Future game for next-gen consoles. Back to the Future: The Game actually picks up after the events of Back to the Future III, in which Marty McFly must meet with a teenage Doc Brown in 1933 to save present (er… 1985) Doc Brown from certain doom. In addition to acting as a follow-up of sorts to the movie, Telltale has also packed in exclusive behind-the-scenes interviews with trilogy co-writer Bob Gale and Tom Wilson, the actor that played Biff Tannen. Finally, let's end this on a game that isn't necessarily celebrating Back to the Future Day itself, but celebrates the movie, nonetheless. 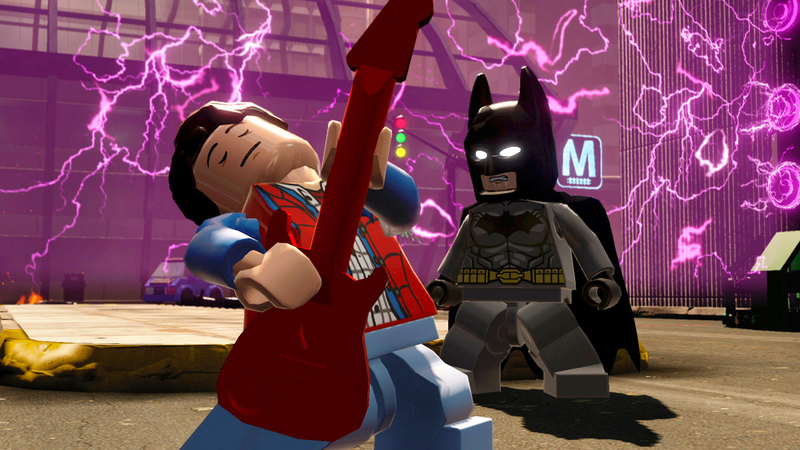 LEGO Dimensions is a mash-up of beloved nostalgic properties and Back to the Future is one of them. Batman, Gandalf, and Wyldstyle will find themselves in Hill Valley, where they'll bump into Marty McFly and Doc Brown, but that's not the only place they'll turn up, since the LEGO multiverse is in chaos. What makes LEGO Dimensions worth mentioning is that both Michael J. Fox and Christopher Lloyd returned to reprise their original film roles, so this acts as a reunion of sorts for Marty and Doc Brown. So enjoy this one with the kids and be sure to pop in Back to the Future once it's all over and have a family night centered around a film classic. Any other games celebrating Back to the Future? Let us know what we missed in the comments and join the conversation.